Only Blender model with UV textures: all materials has been set fo yafaray!!! Feel free to do what you want with this model. Bryce78 (10 years ago) Inappropriate? leahman (10 years ago) Inappropriate? NEED%u2014 a Poser Version ! ! -Please ? Christel (10 years ago) Inappropriate? 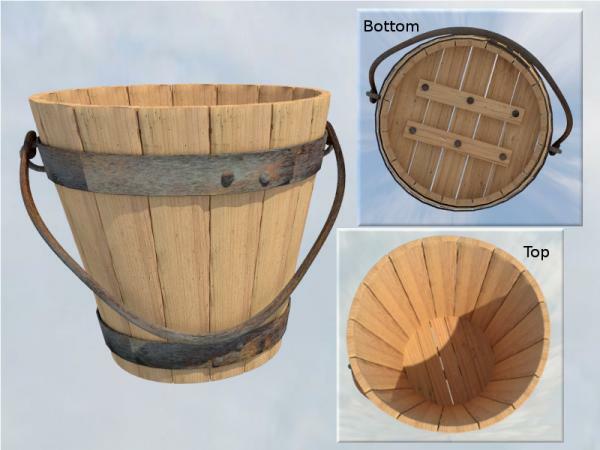 This has got to be just about the best old wooden bucket model that I've ever seen! Thanks very much. I can use it--a lot!